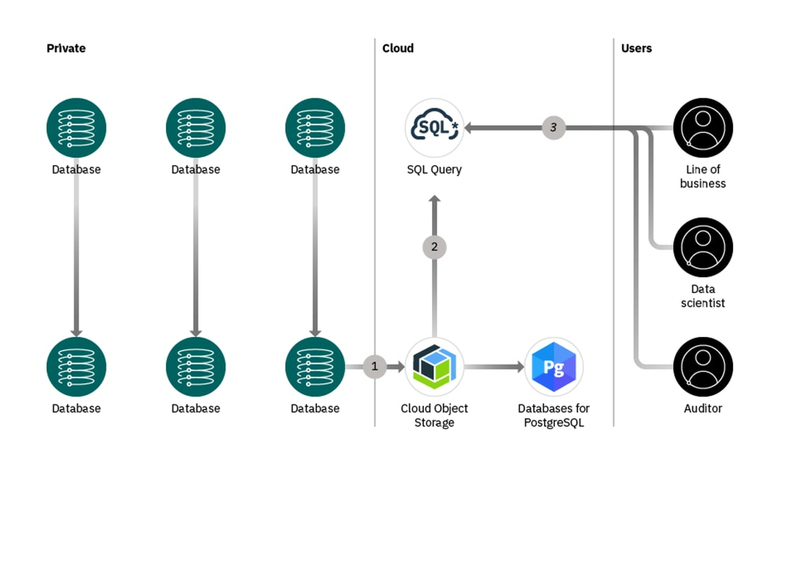 Combining SQL Query with data in IBM Cloud Object Storage creates an active workspace for a range of big data analytics use cases. IBM Cloud SQL Query uses Apache Spark, an open source, fast, extensible, in-memory data processing engine optimized for low latency, ad hoc analysis of data and has full support for large joins, window functions and arrays. No ETL or schema definition needed to enable SQL queries. 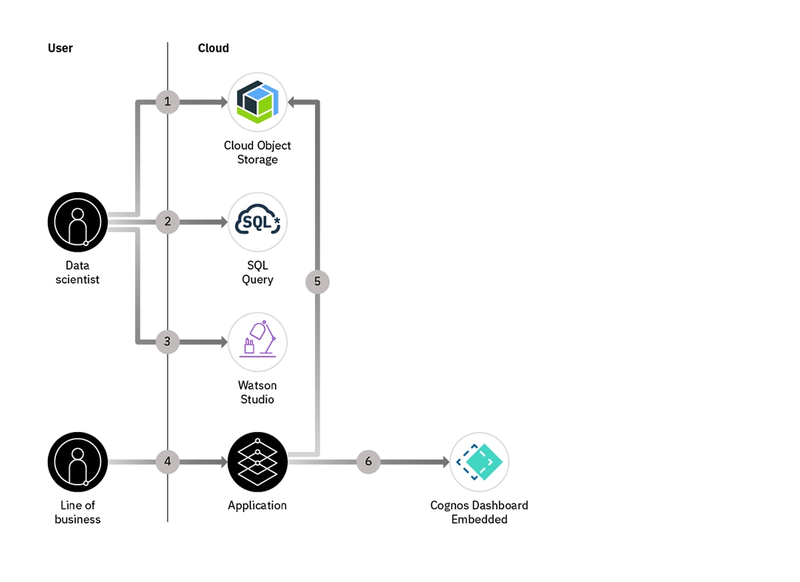 Analyze data where it sits in IBM Cloud Object Storage using our query editor, REST API, and integrations with IBM Watson Studio and IBM Cloud Functions. Run as many queries as you need and with pay-per-query pricing, you only pay for the data scan. Plus, you can compress or partition your data resulting in significant cost savings and performance gains. IBM Cloud SQL Query is highly available and executes queries using compute resources across multiple facilities. Direct reference to data stored in IBM Cloud Object Storage lets you take advantage of the scale, flexibility and data protection that it offers. IBM Cloud Object Storage provides durable infrastructure to store your data and is designed for durability of 99.999999999% of objects. You can control access to your data by using IBM Identity and Access Management (IAM). With IAM policies, you can grant users granular control to your IBM Cloud Object Storage buckets. You can easily query encrypted data stored in IBM Cloud Object Storage and write encrypted results back to your storage bucket. IBM Cloud SQL Query supports a variety of data formats such as CSV, JSON and Parquet and allows for standard ANSI SQL. Build and run data pipelines and analytics of your log message data with the full power of SQL. IBM Cloud Object Storage provides seamless scalability and elasticity for cheap and durable storage. Store data in native formats and query instantly. No server configuration or ETL required. Move on-premises databases to IBM Cloud Object Storage while consolidating license costs and retiring servers. Identify relevant data sets with SQL Query and push to open source databases. A web-scale data storage service that is highly secure, cost-effective and resilient ensuring continuous access to your data. Transfer large data sets to and from IBM Cloud Object Storage securely, reliably and at maximum speed. Accelerates the secure movement of large amounts of data into IBM Cloud Object Storage using rugged, 120TB-usable capacity portable storage devices. 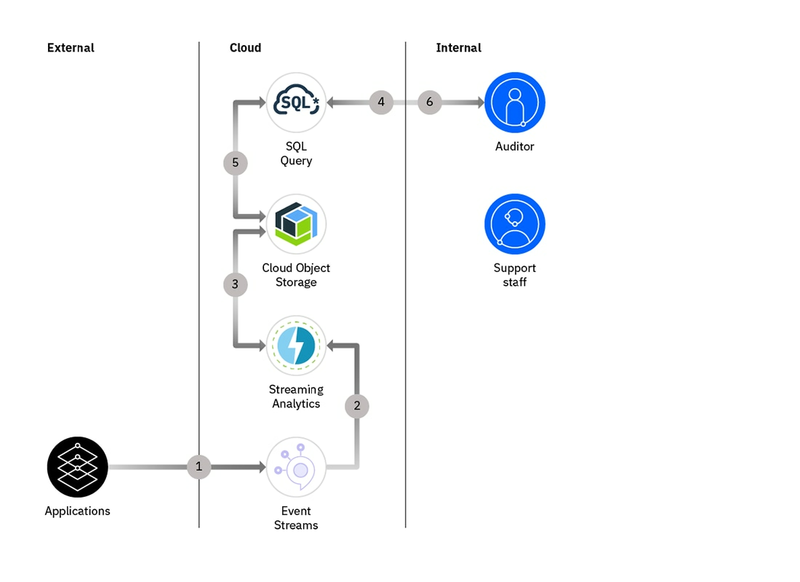 Get started with IBM Cloud SQL Query — serverless, interactive querying service to quickly and easily analyze data stored in IBM Cloud Object Storage.